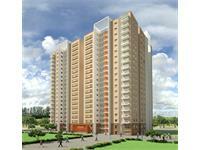 Looking for a property in Aavalahalli(Old Madras Road)? Have a property in Aavalahalli(Old Madras Road)? Have a good knowledge of Aavalahalli(Old Madras Road)? Share it and become a Locality expert. Bren Starlight presented by Bren Corporation with 1, 2 & 3 BHK apartments available for sale in Old Madras Road,Aavalahalli, Bangalore. Hurry Up!! Exclusive offers on 3BHK villas near whitefield, Bangalore.